Tenants are demanding bigger subsidies to help integrate neighborhoods and increase fairness. A San Diego woman claims a city agency has trapped her family in poverty. With help from a public interest attorney, Darlisa McDowell and members of the San Diego Tenants Union are suing the San Diego Housing Commission, which they claim is responsible for “perpetuating racial segregation and the concentration of poverty” in the city. The plaintiffs are demanding that the Housing Commission increase its Section 8 rental subsidies so they can afford to live in safer, more racially integrated neighborhoods with better schools. "There was someone just murdered just about two to three weeks ago, around the corner, not too far from here,” McDowell said. She won’t let her children walk to the store or hang out with friends outside their Lincoln Park home on Imperial Avenue. McDowell has a YMCA family membership so her four teenage sons have a safe place to gather after school and on the weekends. Attorney Parisa Ijadi-Maghsoodi said the Housing Commission’s Section 8 program is responsible for housing inequities faced by its clients. 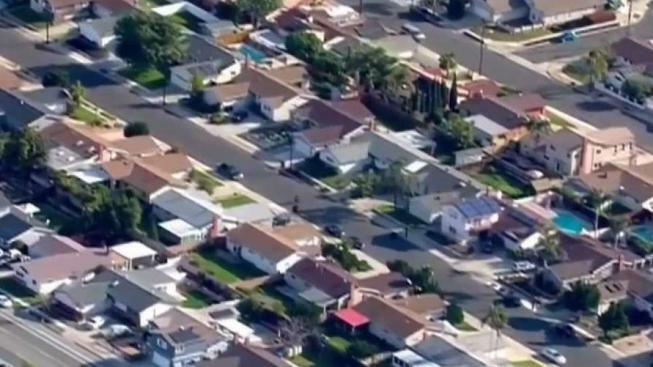 “The program is administered in a way that the vouchers are set so far below market rent that families are racially segregated in certain neighborhoods that are high poverty and low opportunity neighborhoods," Ijadi-Maghsoodi told NBC 7. She said San Diego is one of 24 metropolitan areas ordered by the federal government to take steps to desegregate Section 8 housing in 2016. The Housing Commission has not followed that directive, Ijadi-Maghsoodi said. The attorney said one solution to the problem is to increase Section 8 rent subsidies by $200-800 a month, which would allow low income families to live in integrated neighborhoods with lower crime and better schools. As an example, the lawsuit cites the Pt. Loma area, where 74.4 of residents are non-Hispanic, non-Latino whites. Just seven percent of residents live below the poverty level, and the percentage of Section 8 tenants is just one percent. The lawsuit claims the Housing Commission is responsible in part for that disparity because its rent subsidies are significantly below market. According to the lawsuit, the Housing Commission’s current voucher rate is $1,810 for a two-bedroom apartment in Pt. Loma. That’s $610 less than the fair-market rent for those apartments. "Racial segregation hurts everybody, not just the families who are receiving housing vouchers," Ijadi-Maghsoodi said. McDowell agreed. “It’s very important,” she said. “Very important that your kids get the best education." A Housing Commission spokesperson would not respond to the allegations raised in the Superior Court lawsuit.